National Pasta Day took place this Wednesday, but truth be told, the month of October has always been dedicated to this iconic food loved around the world. 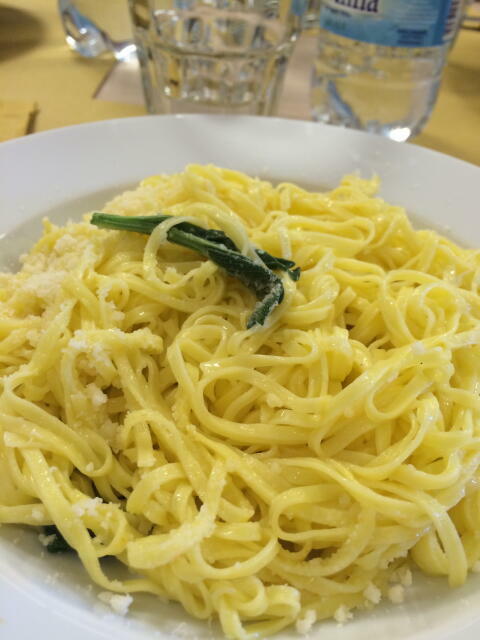 Just recently I spent some time in the Piedmont region, northwest Italy and the pasta is in a league of its own. Typical and classic dishes include agnolotti, postage size ravioli encasing a savory meat filling and tajarin, similar to fettucine but thinner in size, that are served with a butter and a sage sauce. What makes these pastas so outstanding is the number of egg yolks used to make the dough. Typically 30 to 40 yolks are used along with flour to create a silky, sunglasses necessary yellow dough that gives a divine mouth feel of airiness and elegance. It is definitely one of the many reasons to visit this part of Italy.